3485 Highway 162, Bonifay, MLS# 810449: ERA American Real Estate Buy A Florida Vacation Home, Schedule a Showing, Call Brandon Jordan of ERA American Real Estate Today! Looking for the perfect spot to build that new home? This is it --- rural, but only about 5 miles from town. 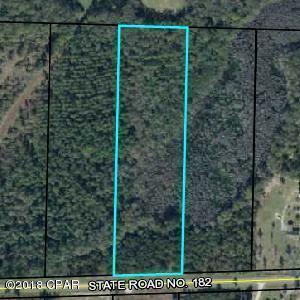 Wooded property with some large pines and nice oaks on the north side of the property in an area where several new homes have been built in the past 10 years. Not many parcels at this price left! Call today! This listing provided courtesy of Southern Choice Properties Llc. This information was last updated on 4/18/2019 10:05:55 PM.